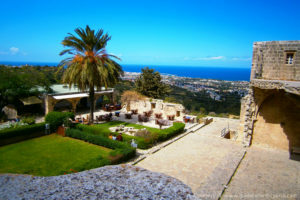 We hope you enjoy North Cyprus Residency Permit and Visa article, but please note owing to huge demand we can no longer answer live chat or email enquiries about North Cyprus Visas. Please click this link below for a list of North Cyprus embassies abroad who will be able to help you. Please note, there are not TRNC offices in Africa. In countries, without embassies, you must contact the Turkish embassy or your local travel agent. 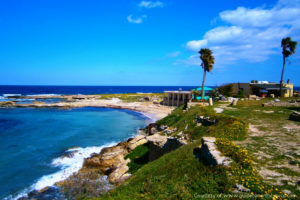 Northern Cyprus is one of the most welcoming countries in the world and visas are easy to arrange, both for short holidays or visits, or for residency if you wish to move to live in your new home. 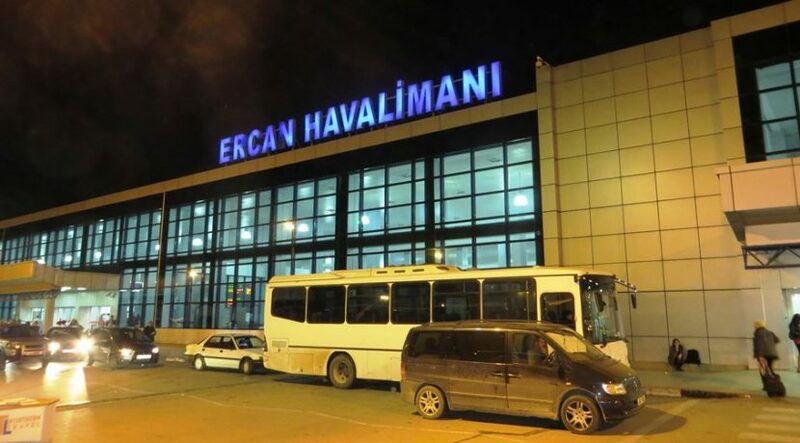 If you are just coming to North Cyprus for a visit of fewer than 90 days, most people will just receive an automatic visitor visa upon arrival at either Ercan (Lefkosa) Airport, the Cyprus crosspoints on the border from the South of Cyprus or at the Kyrenia (Girne) port if coming by ferry. Visitors who do not wish to have their passports stamped can instead ask for a stamped visa form which is loosely inserted into their passport and removed when they leave. If you need to stay longer than 90 days, it is possible to leave the TRNC for a day or two and return to get another 90 days. Citizens of the European Union (EU) nations, Turkey, USA, Canada, Mexico, Israel, Japan, Singapore, Switzerland, Iceland, Norway, Australia and New Zealand do not require an advance visa. Citizens of other countries are advised to contact their local travel agent or local TRNC representative office in order to check the current situation. Currently only those from Armenia and Nigeria are required to apply for their visitor visa in advance. It is important to note that a visitor visa does not entitle you to seek employment or set up a business in North Cyprus. If you wish to discuss gaining a work visa, residency permit or company in the TRNC, we suggest that you contact a reputable legal advisor. Our NCI staff will be happy to provide a list of approved legal advisors, please call us for details. Please note, we at NCI cannot provide invitation letters for Northern Cyprus. If you are booking your travel, it is important to note that only those from EU countries, USA/Canada, New Zealand, Australia plus those with a Schengen visa can enter Northern Cyprus via the South of Cyprus (Republic of Cyprus) and Larnaca Airport. Others must arrive directly into North Cyprus via Turkey into the Kyrenia port or Ercan Airport. We suggest that you contact your local travel agent or TRNC representative in your country of origin to ascertain whether or not you need a visa for Turkey in addition to your TRNC visa. 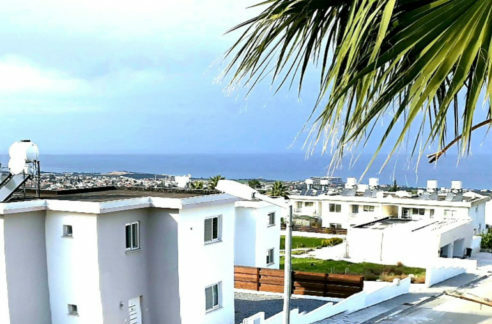 Many people who buy homes in the TRNC wish to move and live in their properties. If you wish to move to live in North Cyprus, you will need to employ a legal representative to apply for temporary residency. The great news is that Residency of the TRNC is very easy to obtain, although once again, this does not entitle you to apply for work. You need to provide an address or property in North Cyprus plus the government needs to ensure that you are able to financially support yourself and your family and that you do not suffer from any communicable diseases. Your legal advisor will be happy to arrange this for a reasonable fee and will explain how to open a local bank account, how much money you need to deposit each year and how to apply for the simple blood test. 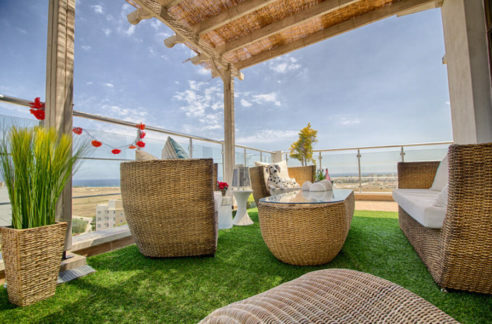 There are over 10,000 British residents living very happily in Northern Cyprus and residents from all over the world, including Turkey, Russia, Scandinavia, the Middle East and many other European countries. There are many foreign nationals working very successfully in Northern Cyprus. Anyone wishing to work in the TRNC will need to speak either or both Turkish and English and either need to gain a TRNC work visa or set up their own company and business. If you wish to set up your own business you may need to register a company. Our NCI staff are happy to provide a list of approved legal advisors who can advise you on the costs of doing this. If you wish to work as an employee, the company who employs you will have to apply for a TRNC work visa for you. Please note, we are not able to help with work visas or provide employment. The advice in this article below has been prepared by Sener Law Firm. You will need a legal representative to apply for Residency in North Cyprus on your behalf. Which office issues TRNC Residency Permits? Permits are issued by the Department of Immigration in Lefkoşa (Nicosia). Do North Cyprus Residency Permits have age requirements? We have been informed by the Local Police that a Residency Permit is not required for those under 18 or Over 60. (Legally residency is required however most people over 60 are retired and do not need residency for any purpose unless applying for driving Licence etc. There is no fine and no requirements for visa extensions for those under 18 or over 60.) This information was provided by the Girne (Kyrenia) Local Police Office. 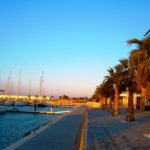 What do I need to apply for a Temporary North Cyprus Residency Permit? Your original passports and photocopies of your passports. A photocopy of the departure and arrival page in your passport (you can request these to be stamped into a white paper at your point of entry if you wish). The Koçan (title deeds) and address of your North Cyprus residence or equivalent confirming your place of residence. If your deeds have not been issued then a photocopy of your stamped contract will suffice. It is important that the Contract stipulates the name(s) of those applying for residency unless husband and wife, whereby the name of one will be sufficient. If you are married, a marriage certificate and a photocopy. Do I need a North Cyprus police report to apply for Residency Permit? Yes. The Nicosia office will then request a preliminary investigation by the Immigration Police. If the preliminary investigation report is positive, the immigration section of the local Police Directorate is instructed to accept your application. Documents are then forwarded to the Immigration Directorate of the general directorate of the Police and then onto the Immigration Department. Do I need a medical report to receive North Cyprus Residency Permit? Yes you do. After the initial application has been approved, you are then referred to a North Cyprus doctor for a medical report/check for HIV, Typhus etc. You may also go to the state Hospital in Girne (Akçiçek) up to 10:00am. A blood test and X-Ray are included in these tests. Results usually take about three weeks. (The fee for the tests to be done start from 135TL to 365TL – paid directly to the hospital). You will receive a receipt for this which your lawyer will need to submit to the Local Police. How often does the TRNC residency permit have to be renewed? The temporary North Cyprus residency permit is valid for one year. It can be easily renewed each year, at which time those within the specified age group have to repeat the blood tests. Please note: Almost all North Cyprus residents stay long-term with the temporary permit as the permanent residency permit is only granted after 10 years of residency (this time period is also subject to change). What do I do once I have documents, blood test and funds in place? Once all the relevant documentation is ready then your lawyer will go to the Immigration Department with all the documentation and passport, revenue stamp etc. 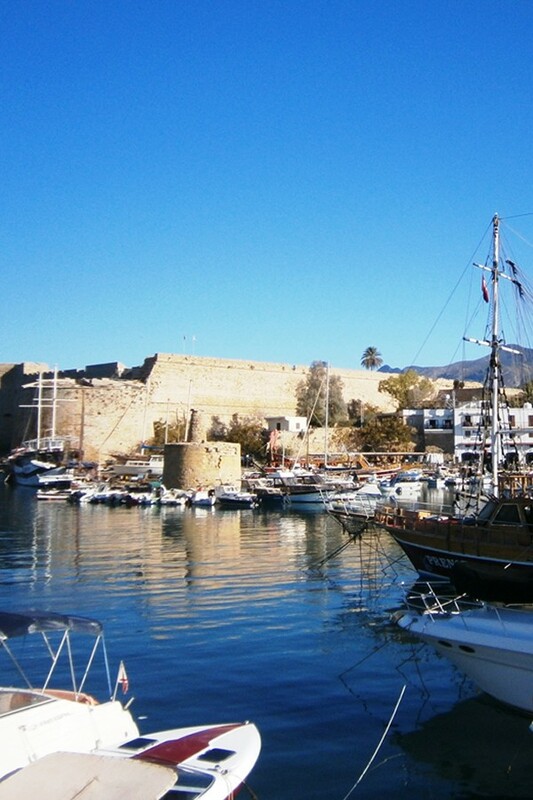 What are the costs involved in applying for a North Cyprus residency permit? There is a final fee to be paid to the immigration office in Nicosia for the residency stamp. This fee is currently 250 TL and is subject to change. There will also be legal fees for arranging your permit. This will vary between lawyers, but Sener Law firm charges £600 per permit. 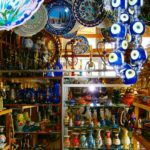 Why is North Cyprus Tourism Increase? North Cyprus Luxury Eco-friendly Homes. The Smart Choice NEW Generation of Off Plan. The Finns are coming to North Cyprus!